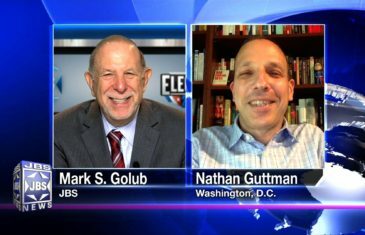 Home \ Tag "Election 2016"
Washington Correspondent of the Jewish Forward, Nathan Guttman, discusses the Jewish community’s support and opposition to Hillary Clinton and Donald Trump, and the political future of Debbie Wasserman Schultz. 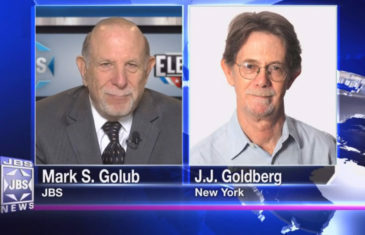 “Election 2016” with Mark S. Golub. 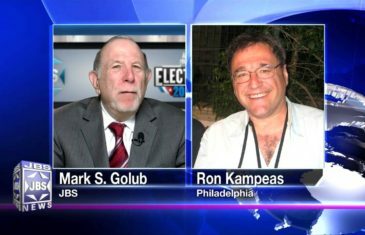 Washington Bureau Chief of the JTA, Ron Kampeas, describes the mood of the Democratic Convention and the resignation of Debbie Wasserman Schultz. With Mark S. Golub. 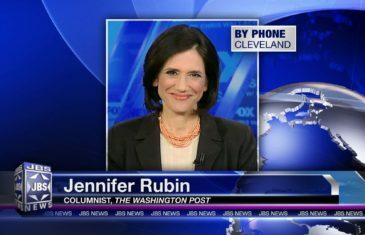 From the Republican Convention, columnist Jennifer Rubin explains why she believes 90% of American Jews will vote for Hillary Clinton and why Donald Trump has been rejected by many Republicans. With Mark S. Golub. 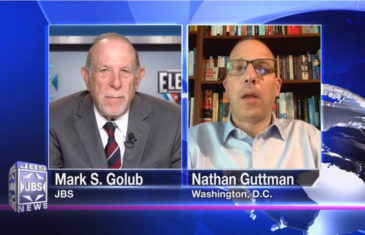 Nathan Guttman, Washington correspondent for the Jewish Forward, discusses Jewish support for Hillary Clinton in the aftermath of the FBI report criticizing Sec. Clinton on issues related to her email server. With Mark S. Golub. 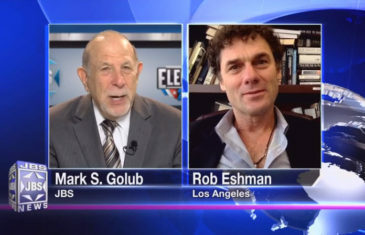 Rob Eshman, Publisher and Editor-in-Chief of The Jewish Journal of Los Angeles, discusses Jewish reaction to Hillary Clinton’s and Donald Trump’s becoming their party’s nominees; their un-favorables; and how he expects Jews to vote. With Mark S. Golub. 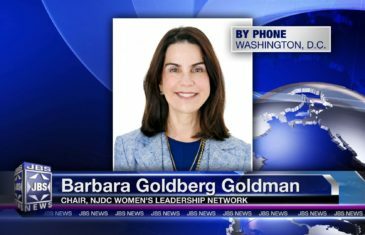 Barbara Goldberg Goldman , Co-founder and Chair of the Women’s Leadership Network of the NJDC discusses Jewish reaction to Hillary Clinton and Bernie Sanders, and why Bernie has no chance. With Mark S. Golub. 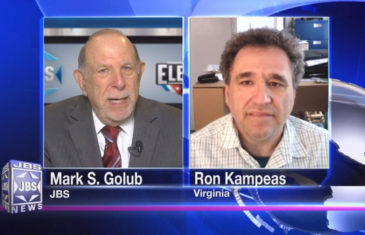 JTA Washington Bureau Chief Ron Kampeas discusses Jewish reaction to Donald Trump’s becoming the presumptive Republican nominee and Republican Jew Ken Schwartz describes his response. With Mark S. Golub. 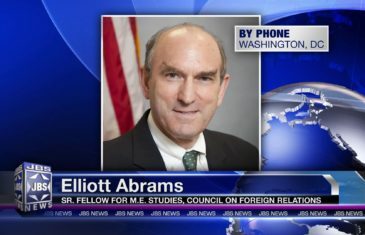 J.J. Goldberg, Editor-At-Large for the Jewish Forward, analyses the different ways in which the Jewish community is responding to the candidacy of Donald Trump and to the primary season in general. 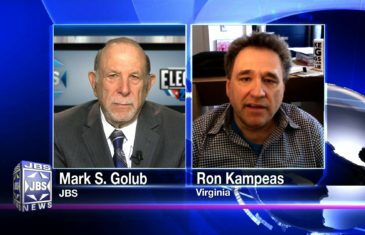 Ron Kampeas, Washington Bureau Chief of the JTA, discusses the results of the NY primaries on JBS’ coverage of Election 2016 with Mark S. Golub.